The Automotive legend which celebrated its 35th anniversary this year, the 2018 Iroc-Z is about to launch the generation, which will be available this fall in North America. But new to this version, the US cut will be officially imported to Europe! 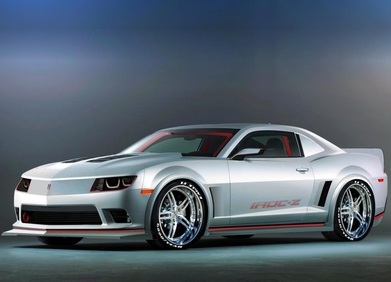 Only 500 units of the 2018 Iroc-Z will be made. The 2018 Iroc-Z engines, the 3.7-liter V6 will not be imported, leaving access to the range of 4-cylinder 2.3-liter gasoline turbo "EcoBoost" of 315 horsepower, while the 5.0-liter V8 will oversee the catalog with 426 horses and 530 Nm of torque. CO2 consumption and emissions are not yet disclosed. The reservation will therefore be among the four proposed models: Coupe 2.3 liter L4 or 5.0-liter V8 in red "Race" and Cabrio 2.3L L4 or 5.0-liter V8 gray "Magnetic", knowing that the prices have not yet been released and that the availability will only intervene late 2015, at best. If your bank account is filled with at least 49,000 dollars (estimated starting price) and you are interested all you have to do is wait until September or October 2017.